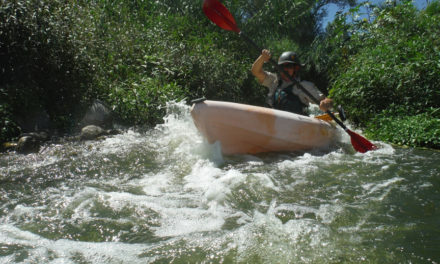 Any member of the public may launch a non-motorized, steerable boat, such as a kayak or canoe, from MRCA-operated put-in points-at Rattlesnake Park off Fletcher Drive, or under the 2 Freeway in Elysian Valley, and at the Sepulveda Basin River Recreation Zone in Encino. River Conditions and hazards are subject to change without notice. Please make sure you familiarize yourself with the maps before coming out to the either Recreation Zone. For those who do not own their own equipment, several organizations provide rentals and guided tours of the River Recreation Zone MRCA Rangers patrol the Zone to promote public safety and regulate usage with rules established by the MRCA Ordinance. 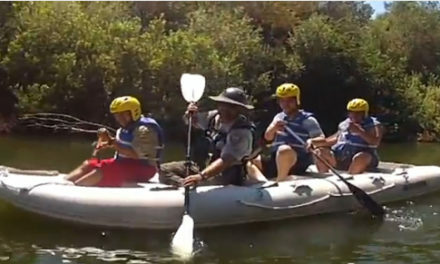 In addition, Rangers are swift water rescue trained for emergency situations. The MRCA has been working on the Los Angeles River for more than 20 years together with the Santa Monica Mountains Conservancy, the City of Los Angeles, the County of Los Angeles, the Army Corps of Engineers, and many community groups and nonprofit organizations. The goal is to create a continuous 51-mile greenway from the headwaters of the river in the San Fernando Valley, to its terminus in the Pacific Ocean at Long Beach. 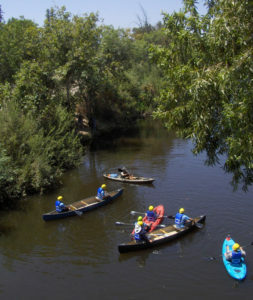 The MRCA ran its first Los Angeles River Kayak program as a partner with the Los Angeles Conservation Corps in the highly successful Paddle the L.A. River Program in the Sepulveda Basin in 2011. Fishing is allowed along the banks of the Los Angeles River in Elysian Valley L.A. River Recreation Zone and from a boat in the Sepulveda Basin L.A. River Recreation Zone. Fishing licenses from the California Department of Fish and Wildlife are required. Fish species in the Los Angeles River include largemouth bass, tilapia, green sunfish, and mosquito fish. 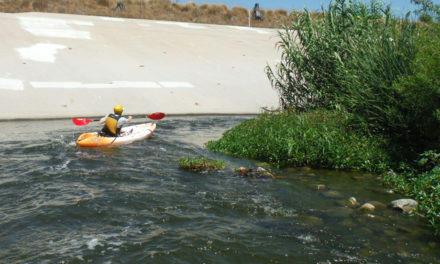 The Los Angeles River Recreation Zone is open for exploration! Native habitat and wildlife abound in the soft-bottom portion of the river. You are welcome to walk along the banks of the river that are clearly marked with signs (but you are not permitted to swim). The L.A. River Recreation Zone is located in the Pacific Flyway, which is a major north-south flyway for migratory birds and a huge variety of birds visit here to hunt for food and rest. 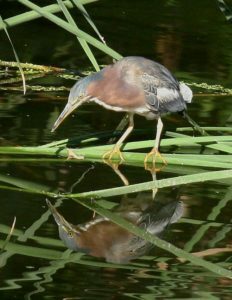 Great Blue Heron are often seen feeding on fish and frogs. Duck, osprey and snowy egrets are frequently sighted near the densely vegetated shoreline. 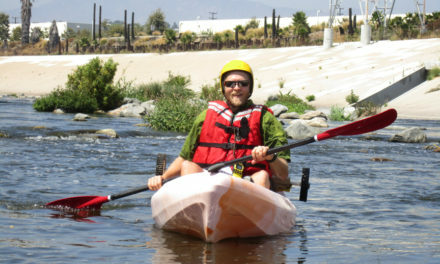 We encourage you to come out and see what the Los Angeles River has to offer.